Competition paintball is fun whether you are new to the hobby or sport or a seasoned veteran. This type of challenge is for just about any player who would like to compete at a tournament level of play. If you haven’t ever thought of doing this before, you might want to organize a team and give it a shot. Playing tournament or competitive paintball can be a blast for you and your friends to play. You can find all the support you need at Air Assault Paintball Games. Over 100 paintball event have been planned and organized by Air Assault Indoor Paintball. This is a top rated facility around the Midwest located in the Twin Cities in St. Paul MN. 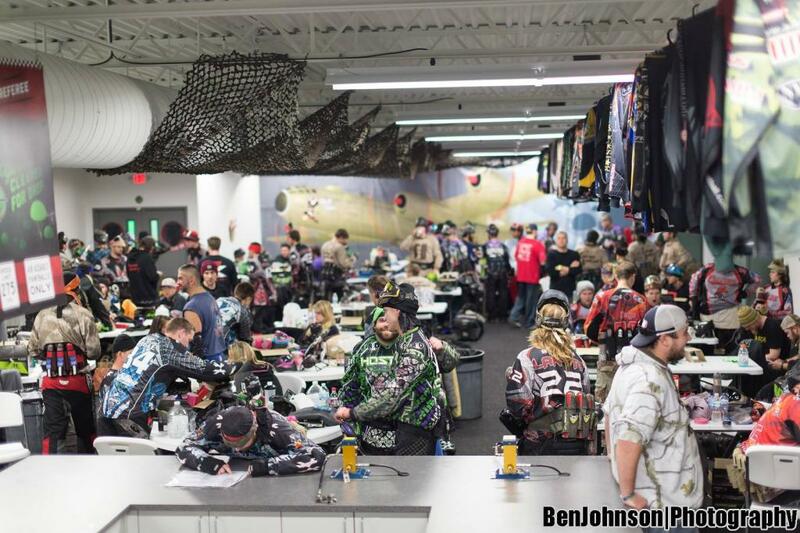 Air Assault is the largest indoor paintball center in Minnesota. The facility is not only home to the most recognized tournament team but to a full sized PSP Sup-Air Field. Air Assault is fully outfitted to help individuals began using their skills to work to a competitive paintball level. Our staff is among the highest ranked paintball individuals in the state with year of experience to help you on your competition paintball journey. The 30,000 sq. ft. paintball arena has rubbed backed turf to practice on year round. Get everything you need from top of the line paintball guns, paintball masks, paintball loaders and more from the retail shop. We provide on-site technicians and help restoring compressed air storage containers. 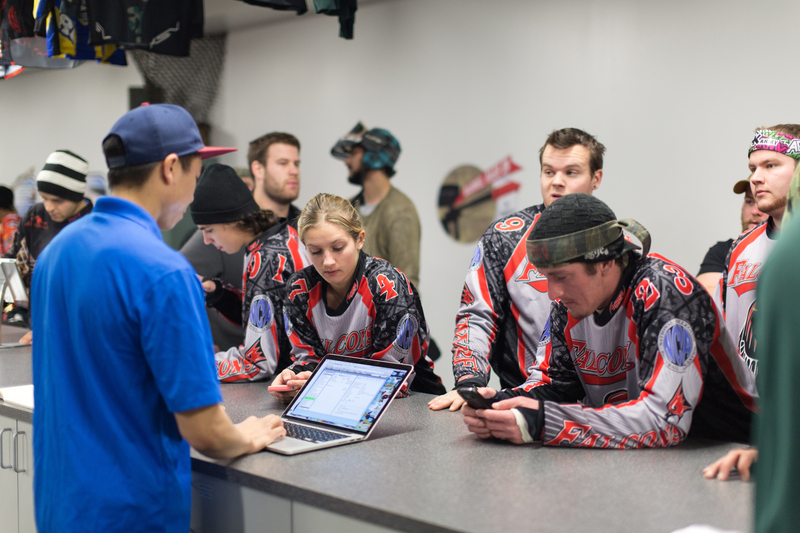 This facility is the perfect spot of a competitive paintball player to grow his or her game. Players are welcome to stay and play as long as our open hours permit. Tournaments are held year round just like practice times. Air Assault Paintball has had numerous trophy wins from competition paintball through the years. Check out the trophy case as you walk into the paintball field. Gamers should also note that the gear available at Air Assault is all chosen from the top paintball brands to ensure a safe and fun experience every time a player takes part in competition paintball. Be sure to check out the new and used gear wall. Air Assault buys, sells and trades new and pre-owned gear. Upgrade your paintball equipment to stay competitive on the paintball scene. Consider dealing with the friendly staff only at our paintball center to help you further your paintball knowledge. Be a part of the biggest tournament and competition paintball scene in Minnesota at any Air Assault Paintball Event. Ask around and hear about the quality that our staff and facility has to offer. They may recommend that you will began as a walk on player or that you are ready to jump on a field team. Many competition paintball teams are searching for another player to assist balance out their teams. That missing player could be you. Play paintball “where the pros play” at Air Assault Paintball in Saint Paul Minnesota! Play paintball at advanced play or regular walk in play times and meet new faces and get in touch with the paintball scene in MN. Air Assault Paintball Games can be a competitive paintball experience but if you are ready we will see you! Looking to book a private group or just a scheduled event? Schedule your time slot online today! Have questions about times or pricing? Just give us a call at 651-222-0300. No group minimums or time restrictions. Accommodations are first come first serve.